Captain Marvel will be the first female-led movie in the Marvel Cinematic Universe, and as such it needs a talented actress to inhabit the role and bring the character of Carol Danvers to life. Academy Award-winning actress Brie Larson (Room, Trainwreck) is reportedly interested in the part, news that has received plenty of positive reaction from hopeful fans. 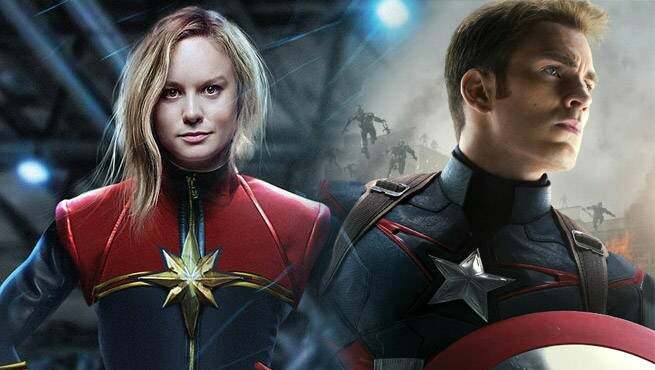 During a panel at Wizard World Philadelphia, our onsite reporter Brandon Davis brings us news that the topic of Larson as Captain Marvel came up, and Captain America actor Chris Evans couldn't be happier if that turns out to be the case, saying: " I just heard about that. I really hope that happens! I love Brie Larson. We did a movie together back in '09, Scott Pilgrim vs The World." Evans played the 2nd member of the Evil Exes Lucas Lee, while Larson played Envy Adams. It sounds like the experience was certainly positive, with Evans adding: "I cannot say enough about Brie Larson. I think she's phenomenal, and I really hope that happens." Well, there you have it. She has Captain America's vote, and now Marvel Studios just needs to make it happen. As for Larson, she has a few different projects in development right now, including Kong: Skull Island, but since Captain Marvel doesn't release until 2019, if they get the deal done now she should have room in her schedule. As for Captain Marvel being the first (and only as of right now) female-led movie in their superhero universe, Marvel Studios needs to fix that asap. It has a certified star in Scarlett Johansson and a popular character in Black Widow just sitting there. There really is no excuse for a Widow solo film to have taken so long. Image Credit: Captain Marvel image by Boss Logic.